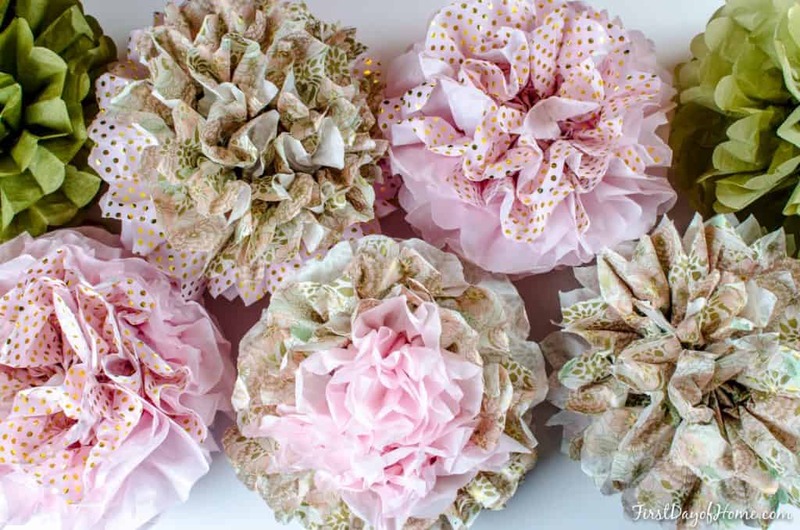 Have you ever wanted to make your own pretty tissue paper balls to hang for party decor? Today, I’m bringing you my special tutorial to make DIY tissue paper pom-poms with multiple colors that look like flowers. 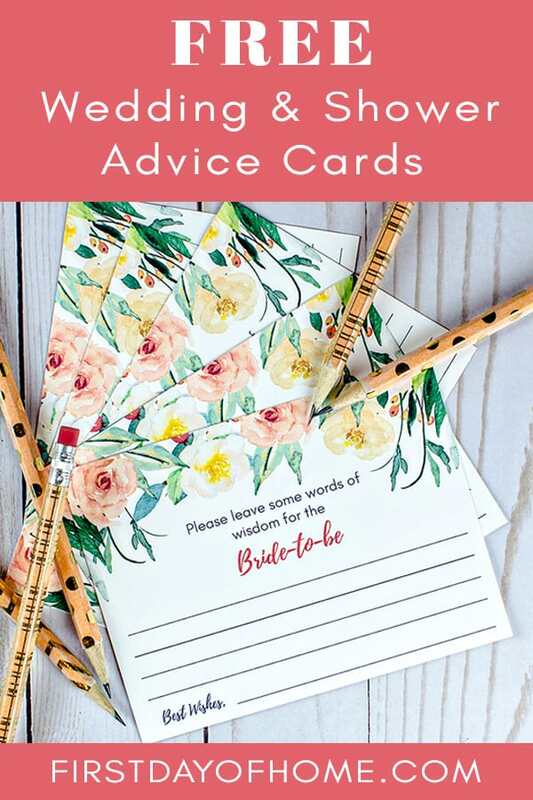 Creating these beauties is easier than you think! 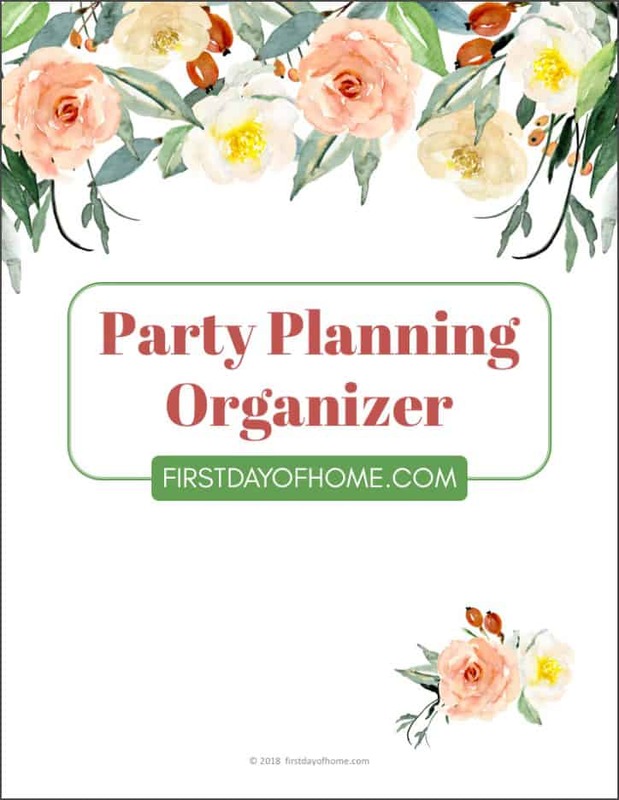 I recently posted my free party-planning printables to help you organize your next event, and I devoted one section to party decor. Pom-poms always make the decor list when I’m hosting birthdays, showers or special events. 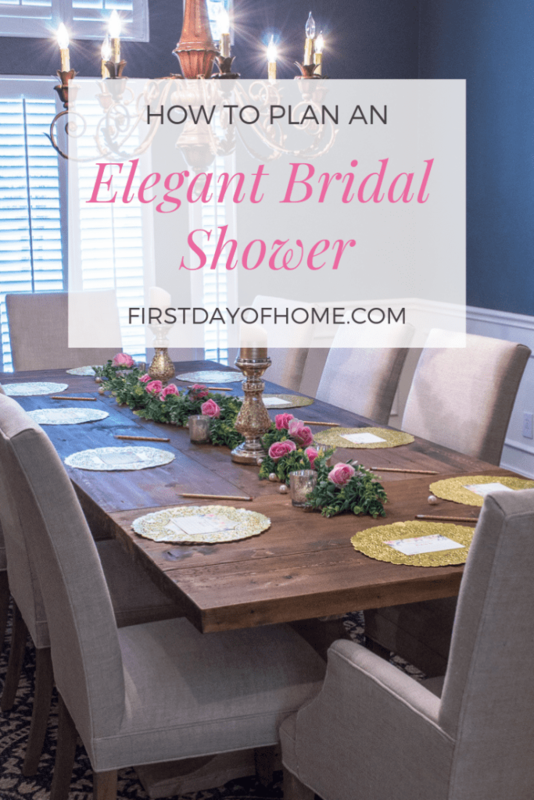 When I threw a bridal shower for my niece, I included pom-poms as part of my decorations for the fireplace mantel and cake table. These tissue paper pom-poms require only four items. How easy is that? 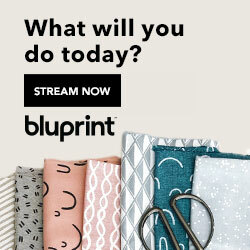 If you’re looking for a great collection of coordinating tissue paper, I love this combo you can purchase on Amazon. 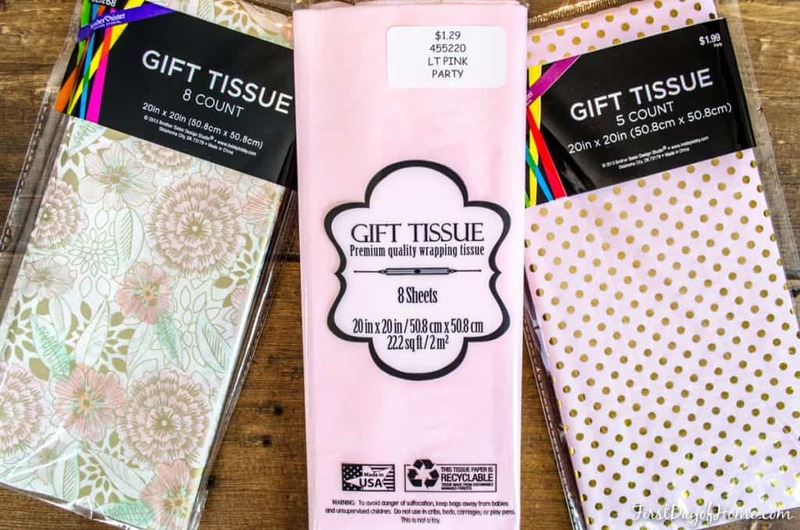 Often, this is the best option for getting tissue paper quickly and at an affordable price. 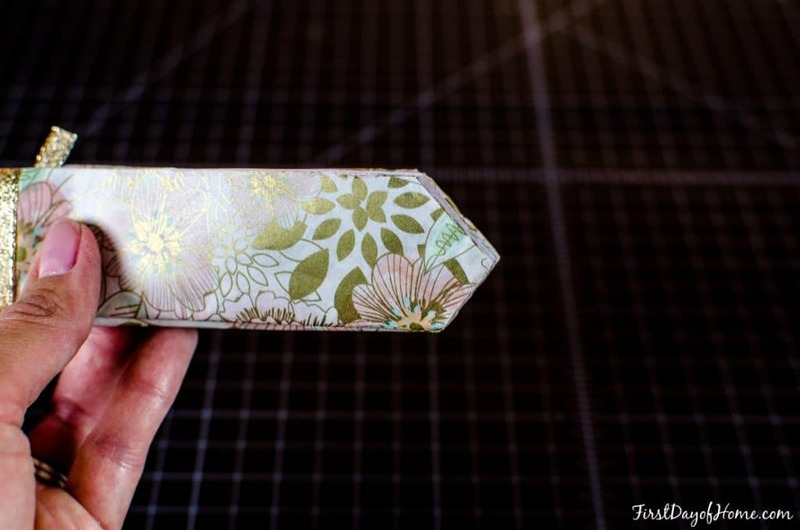 To begin, cut your tissue paper in half along the shortest edge. For example, my tissue paper package contained eight sheets each measuring 20 x 20.5 inches, so I cut through all eight layers to form two stacks of 10 x 20.5 inches. 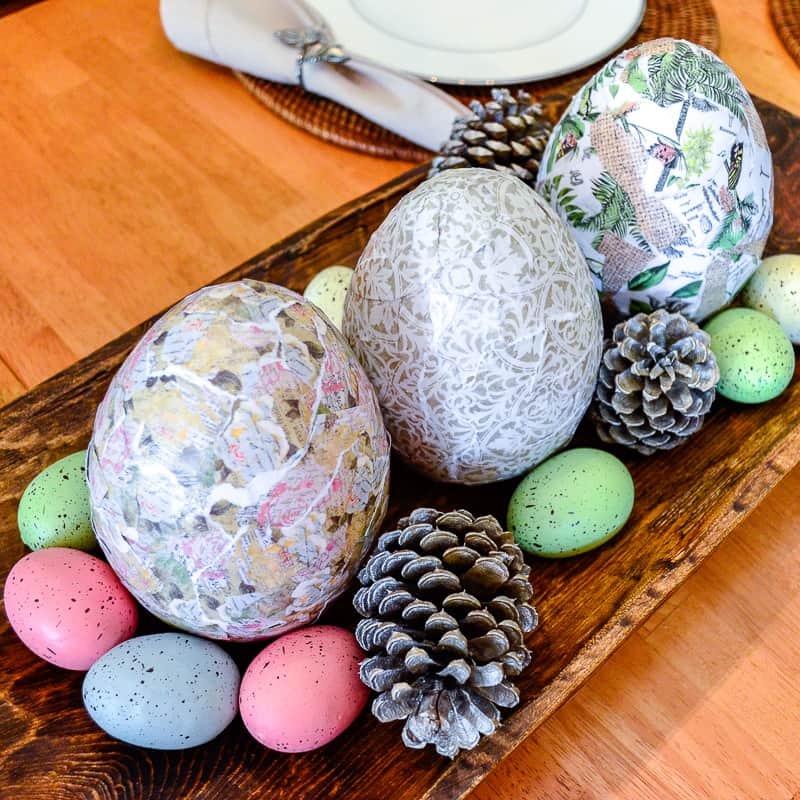 For multicolor pom-poms, you will replace 1-2 sheets of tissue paper with an alternate color on both the top and bottom layers. 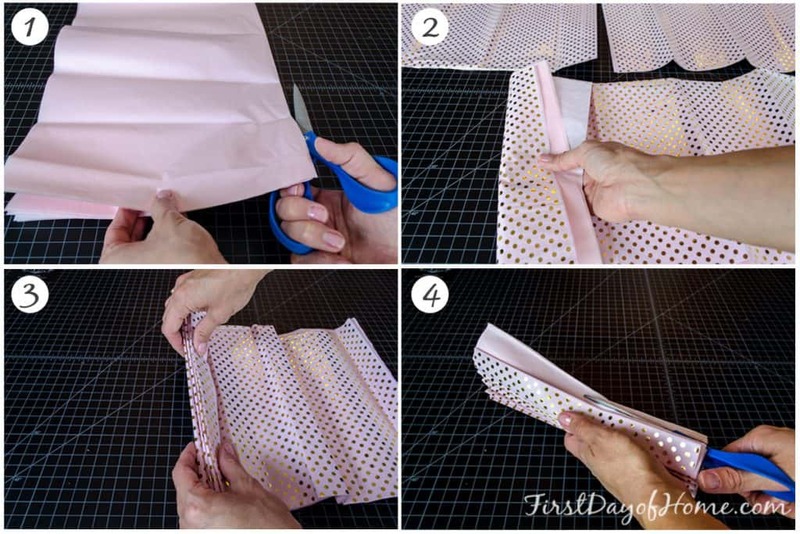 Make sure any patterned tissue paper faces right-side-out on both sides. Accordion fold the layers of tissue paper, in one-inch segments. 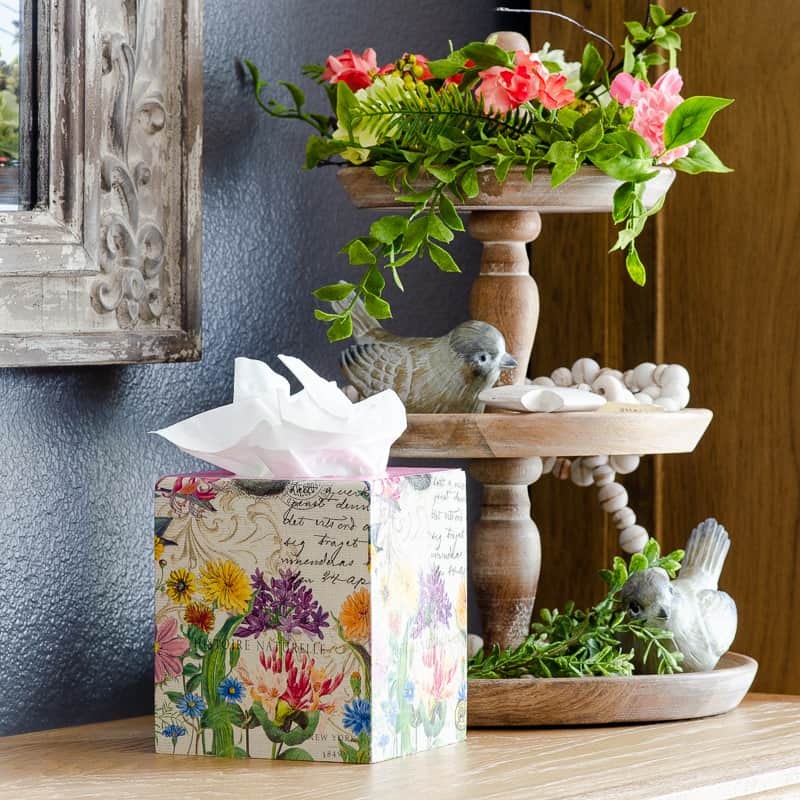 Once you’re done folding, cut off any excess tissue paper that might stick out unevenly. 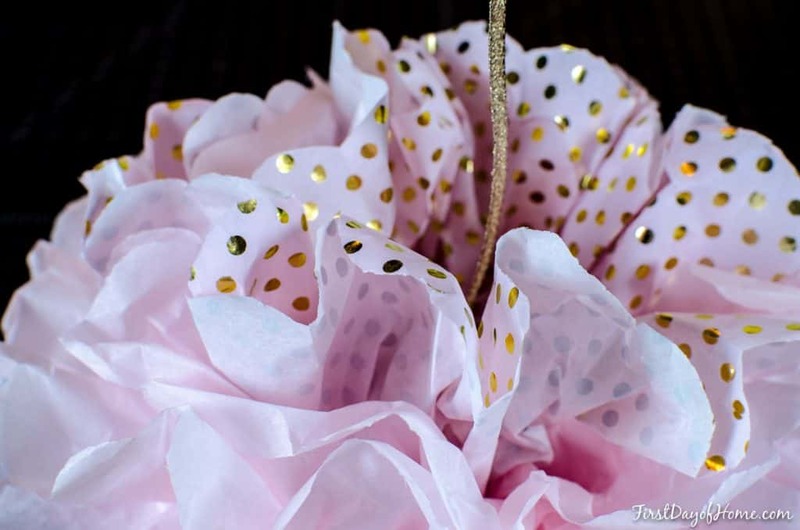 Use either a piece of ribbon or a piece of floral wire to secure the center of the pom-pom. If you plan to hang your multicolored pom-poms, make sure the ribbon is long enough (see my favorite ribbons below). Trim each end of your folded pom-pom in a curved shape, if desired. 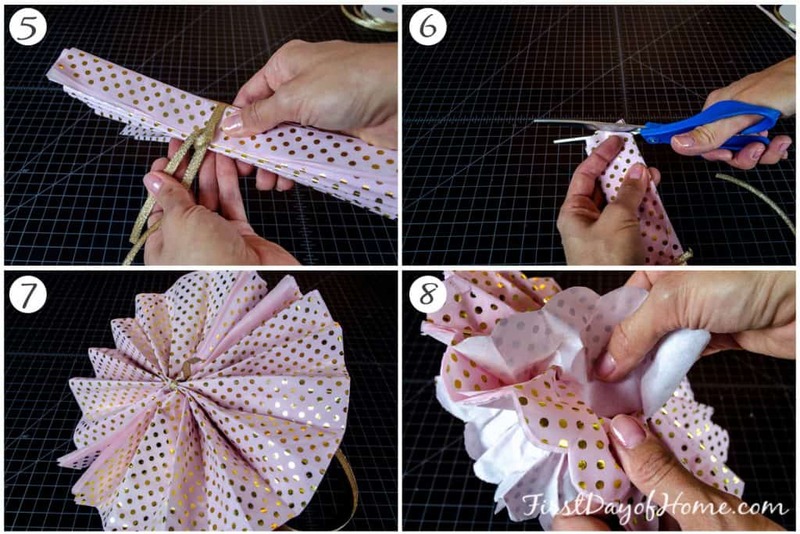 Open the pom-pom in a fan shape before you begin peeling back each layer. 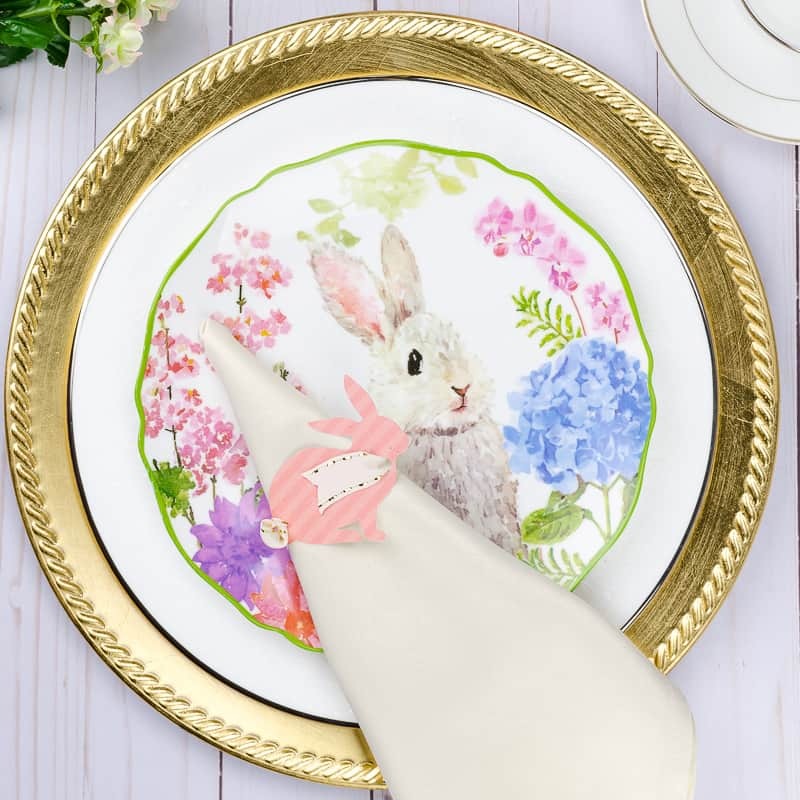 Gently pull each layer of tissue paper up toward the center ribbon on each side. Eventually, your pom-pom should start to look like a sphere. For added texture, you can experiment with making a point at the end of the pom-poms instead of a rounded curve. If you’re planning a party away from home, I suggest waiting to open your pom-poms at the venue. This will prevent them from getting crushed before they have a chance to wow your crowds. The finished pom-poms will look like the image below. I love having the ability to tie in my color scheme, especially with this multicolor version of tissue paper pom-poms. 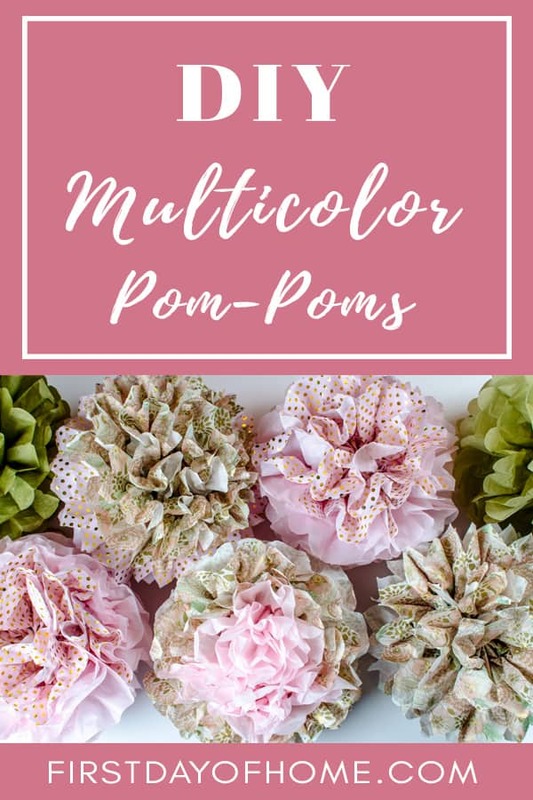 Now that you know how to make multi-colored tissue paper pom-poms, you can customize them for any birthday, bridal shower, baby shower or other special occasion! 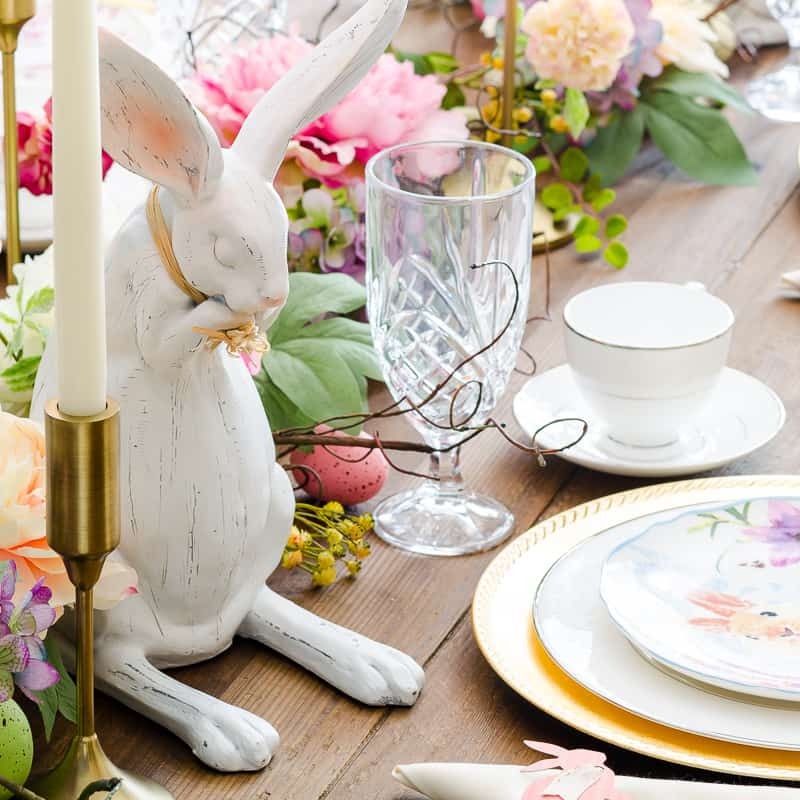 I hope you enjoy unleashing your creativity with this DIY party decor. Don’t forget to pin it for later so you don’t forget it! Thanks, CiCi! 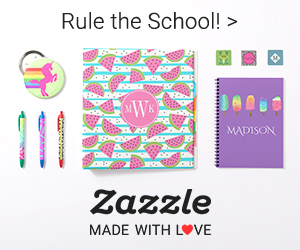 Yes, the kids would love making these! Blown away by the beauty and creativity of your latest post!! A masterful job! Thanks so much! I had fun making them!